"Do you have any idea what's going on out there?" 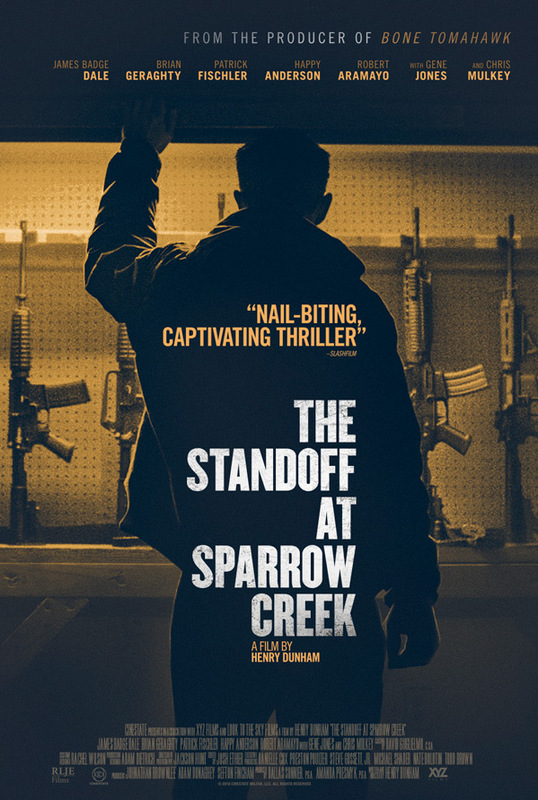 RLJE has debuted the first trailer for one of this year's big discoveries, a contained thriller titled The Standoff at Sparrow Creek, the feature debut of Henry Dunham. The film premiered at the Toronto Film Festival, then played to rave reviews at Fantastic Fest, earning some of the best buzz out of both fests as a major find. It's a deviously smart film about a group of men in a militia who meet in a warehouse after a shooting, only to discover that one of their guns is missing. They begin to accuse each other in an attempt to figure out who did it, and it gets even better as it goes on. This has been compared to Reservoir Dogs, but it's really something of its own and it's an incredible debut. Sparrow Creek stars James Badge Dale, Patrick Fischler, Brian Geraghty, Chris Mulkey, Happy Anderson, Robert Aramayo, Gene Jones, and Cotter Smith. I highly recommend giving this a look. After a mass shooting at a police funeral, reclusive ex-cop Gannon (James Badge Dale) realizes that the killer belongs to the same militia he joined after quitting the force. Knowing the police will be closing in on them, Gannon quarantines his fellow militiamen in a remote lumber mill. There, he sets about a series of grueling interrogations, intent on ferreting out the killer and turning him over to authorities to prevent further bloodshed. 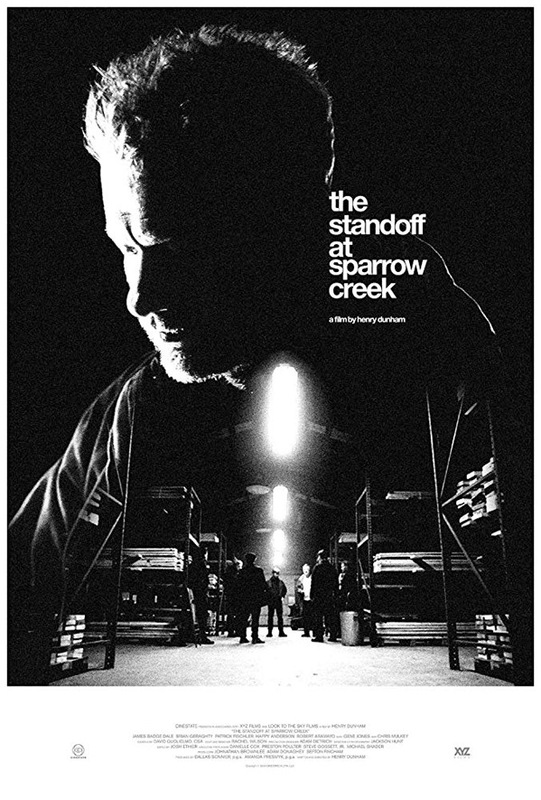 The Standoff at Sparrow Creek is written and directed by filmmaker Henry Dunham, making his feature directorial debut with this after making one short previously. This premiered at TIFF in Midnight Madness and at Fantastic Fest this year (read our review). RLJE Films will release Dunham's The Standoff at Sparrow Creek in select theaters + on VOD starting January 18th, 2019 early in the new year.